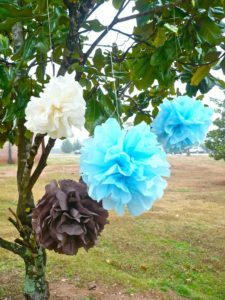 A good friend of mine recently showed me how to make these decorative tissue paper puffs. They are a quick, easy, cheap way to decorate for a party, shower, or kids bedroom! We made them for a bridal shower, and I loved them so much I made them for a baby shower. It cost about $7.00 in supplies to make 20 of them! To get started you need to pick up a few packs of tissue paper. I bought mine at Hobby Lobby for 99 cents each. For the baby shower I bought off white, brown, green, and blue. You will also need scissors, string, and if you want to make a bouquet, wire. I bought a pack of green wire from the flower arrangement section of Hobby Lobby. 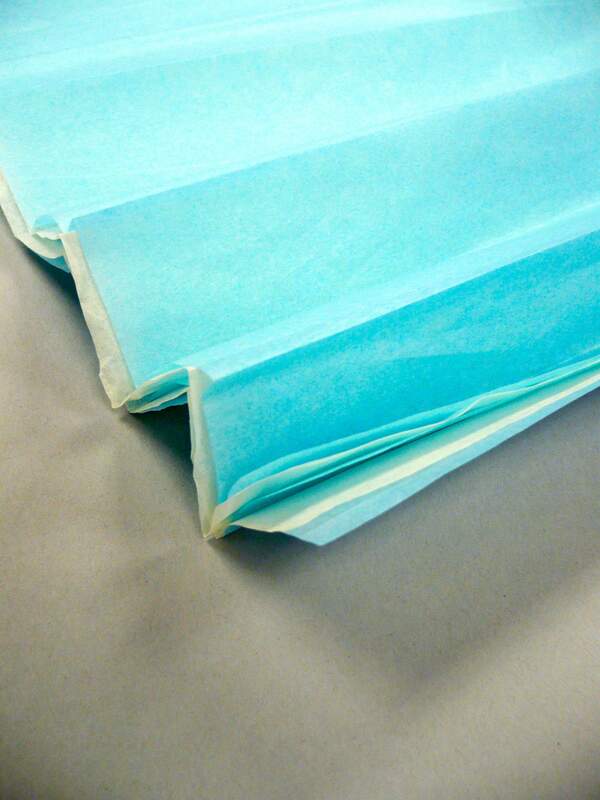 For a large puff take 6-7 sheets of tissue paper and stack them on top of each other. 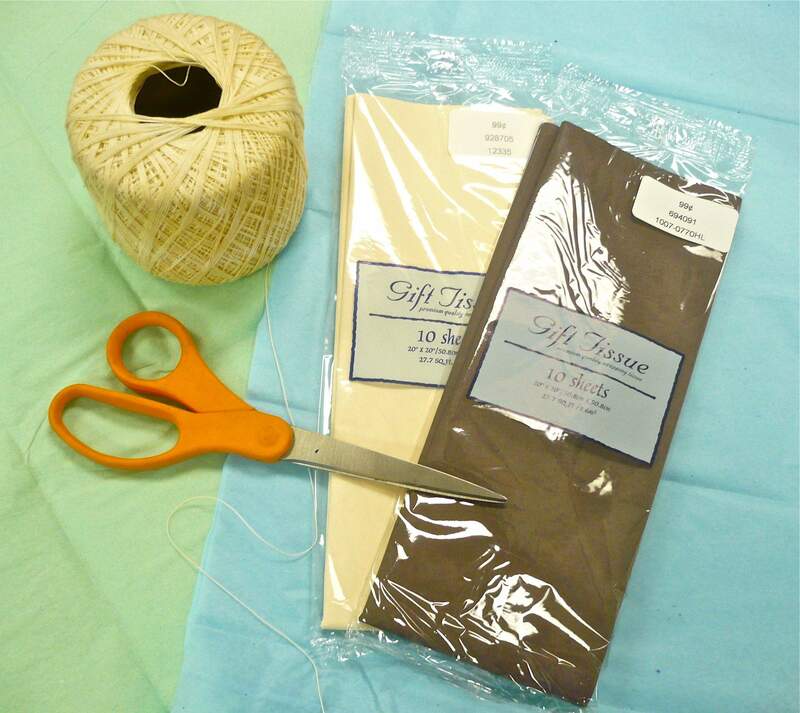 For a small puff cut 3-6 inches off the edge of the stack of sheets, and stack 4-5 sheets of tissue paper. 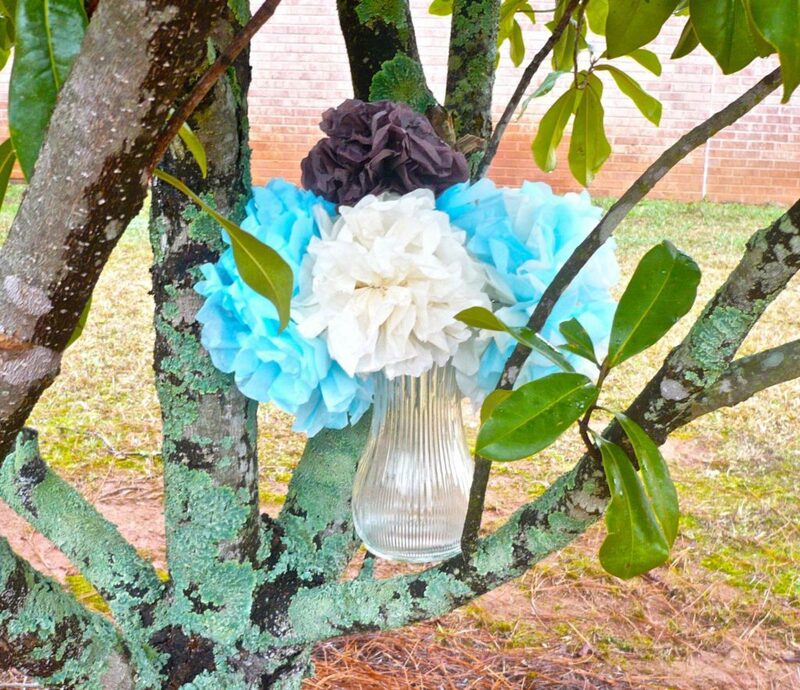 If you want multicolored or striped puffs alternate different colors when you stack the tissue paper. Once your tissue paper is neatly stack, started folding it back and forth, like a fan, folding approximately 1 1/2-2 inch sections. 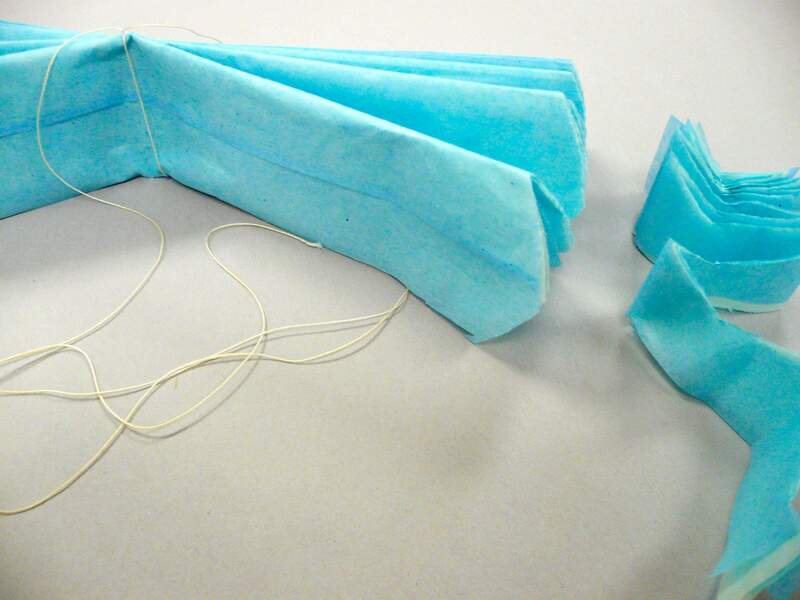 After you fold the entire stack of tissue paper together, tie a string around the middle. If you plan on hanging your puff, allow extra length of string to hang it. To create the petal look round both ends of the folded tissue paper by cutting it with scissors. After you tie the string around the tissue paper and round the edges, it’s time to separate the layers of tissue paper. 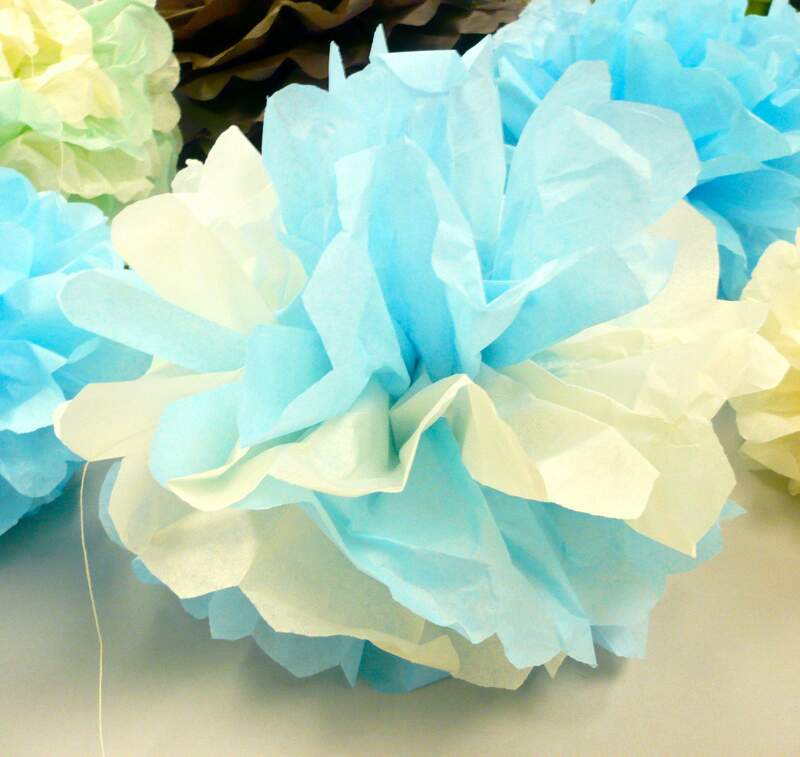 Carefully pull each layer of tissue paper apart and spread them out until is creates a round puff. Tissue paper rips easily so be gentle! Using the extra length of string hang the puffs to decorate! 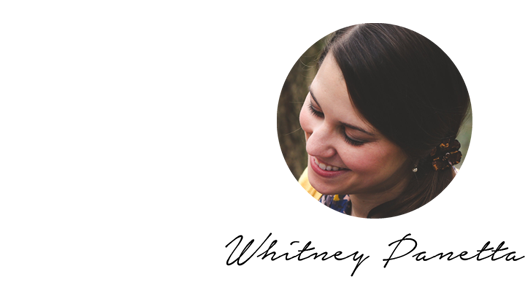 You can tie them around tree branches, tape them to tables, or use poster putty (think back to the gray sticky stuff they use to hang posters up in elementary schools.) to tack it to the ceiling. 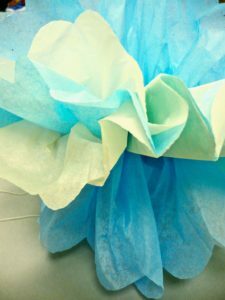 Another great way to use the puffs is to wrap wire around the center of the folded tissue paper, rather than string, and create a bouquet. It create a very interesting and crafty centerpiece!